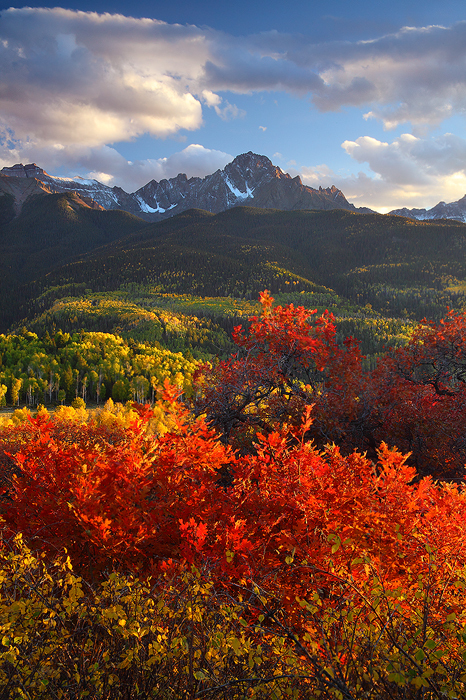 The 14,150 ft. Mount Sneffels rises above an amazing display of autumn color in the valley below. Red isn't a color typically seen in Colorado's fall palette. The aspen tree's golden yellow leaves are what most of us are used to seeing, but this scrub oak added a beautiful touch of fire to the landscape.